The deluxe portable washing machine with WHIRLPOOL washing action has set a new standard for camping and caravanning enthusiasts. 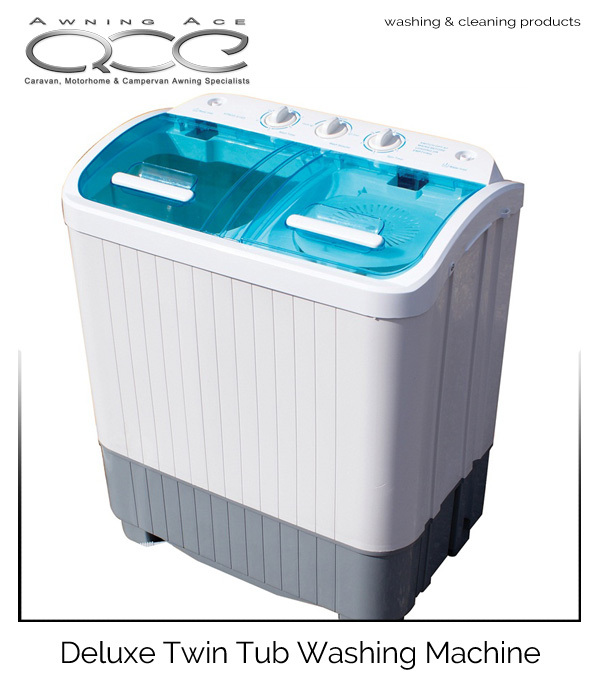 This small footprint washer is ideal for caravan's, boats, camping, motorhomes and student residence. The Leisurewize Portawash Plus Twin Tub has a 3.5kg washing capacity making it ideal for smaller washing loads and can spin up to 2.5kg. The new WHIRLPOOL washing cycle will save on power, water and time without compromising on the final wash quality. Perfect for camping and caravan use, this deluxe portable washing machine has become increasingly popular in student flats and halls of residence, together with campervan and motorhome users who require a versatile washing machine and spin dryer with a small footprint. Perfect for when space is at a premium. The Leisurewize Portawash Plus Twin Tub Washing Machine is really easy to use, simple to move and constructed from super tough materials. 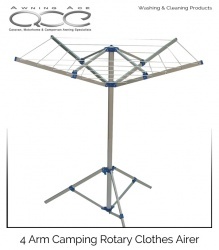 This washer is packed with useful features including the whirlpool function, strong agitation cycle which prevents clothes from becoming twisted, gentle and normal wash cycles and now includes an improved copper bound motor for even longer life use.